Canoeing on the Spring River is one of the best trips in the Ozarks. Perfect for family canoe trips and anglers looking for a the perfect way to catch our local Rainbow Trout, Bass, and Catfish, a canoe trip with us is the perfect addition to a camping trip or as an event all its own. 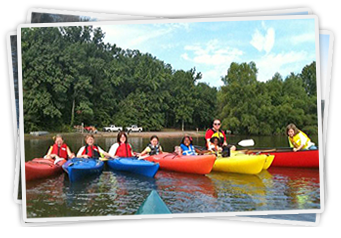 Riverside Resort offers two exclusive canoe trips, one at a distance of five miles and longer trip at 8 miles. 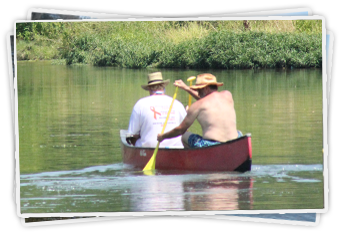 Canoeing is a great way to relax and soak up the sun while you sip a cold beverage. Spring River is calm for several lengths but is preferred with falls. For our adventurer friends, their are several sets of falls that make for some exciting canoeing. Picture you and your favorite people enjoying the best that Arkansas has to offer, watching as American Bald Eagles swoop and dive, and listening the rock and roll of the distant train. Several sand bars and beaches are along the path of the river and provide excellent place for kids to play and stretch their legs. When it is time for your canoe trip, gather up your friends and load up onto one of our famous big yellow Riverside Resort buses. You are welcome to bring coolers for your trip down the Spring River. Just to give you a heads up, the Arkansas Game and Fish Commission requires all canoes have a bag for all cans and trash. We provide you with trash bags for your float. We will arrive at the Dam 3 Access at Spring River and unload all of the canoes for you. Everything you need to canoe will be provided as far as the life jackets, canoe paddles, and trash bags. Kayaking is a personal adventure when it comes to the Spring River. One person, one craft, one river - the ultimate in control and speed when it comes to river sporting. The falls on the Spring River offer kayakers the opportunity to shoot the falls and speed past obstacles. Enjoying the river in a kayak in a great way to be the boss of your own vessel and rule the river. Emerging near the Missouri border in north central Arkansas, the Spring River has been described as the state's most dependable natural stream. Mammoth Spring, flowing at over nine million gallons of 58-degree water per hour, serves as the headwaters for the river and provides plenty of fresh water throughout the year. The river is crystal-clear, with long pools and whitewater falls. The scenery is mostly hardwood forest with some rocky bluffs. Access is from U.S. 63, which parallels much of the upper Spring. The constant flow from Mammoth Spring makes the Spring River one of the state's best year-round floats even during the summer months when river levels tend to fall. The fishing on the Spring River is world class. 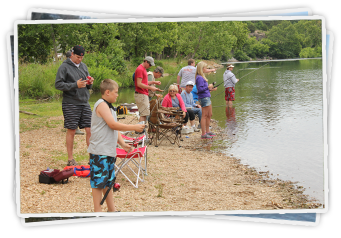 There is excellent trout fishing in the Spring River because of the cool headwaters and it is regularly stocked by Arkansas Game and Fish Commission. Large Mouth Bass, Small Mouth Bass, Walleye, Tiger Muskies and assorted Pan Fish can also be found. The Trout fishing offers the opportunity to catch both Browns and Rainbows on fly's and light spinning gear. The fishing is good just about anyplace on the Upper Spring River. Just below the Spring is a choice spot for large Browns. Below Dam 3, (The Hatchery is located there.) The Famous Bayou Access with its fast runs and deep pools hold an enormous number of Rainbows and Walleye. Riverside Resort is where the last four State Record Tiger Muskies were caught and a number of large Walleye have been landed just below the mouth of Big Creek. This Creek is home to Spotted Bass, Small Mouth and lots of Bream. Rafting is a group event with Riverside Resort's high quality rafts seating up to four people. If you have a group and you do not want to be separated by different canoes, the raft is a great option. The raft is also a great option for families with small children. While all of the watercraft are safe, the rafts are the least likely to flip over or find its occupants in the water. Big, rugged and comfortable, the raft is a great way to travel down the river. $50 cash deposit required on all rafts which will be refunded when equipment returns undamaged. No fishing poles in rafts. No glass containers allowed in the park or on Spring River. No pets. Not responsible for accidents. A float trip is many things. It can be a group of friends in a mishmash of canoes, rafts and kayaks. Or an entire group of anyone of the three. 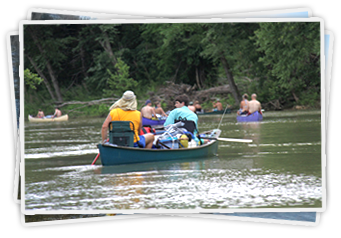 Bring your family or group of friends for a float trip down the Spring River and make memories that will last a lifetime. 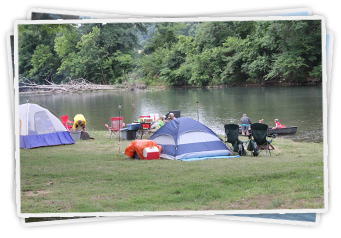 Camping with Riverside Resort gives you the best of outdoor adventure and hot showers. Enjoy your tent camp site with fire pit, one of our RV sites, or enjoy one of our cozy cabins. We have lots of options for your next outdoor adventure. -- NO PETS PLEASE | NO OUTSIDE FIREWOOD -- Copyright 2012 © Riverside Resort and ArkansasCanoe.com. All rights reserved.